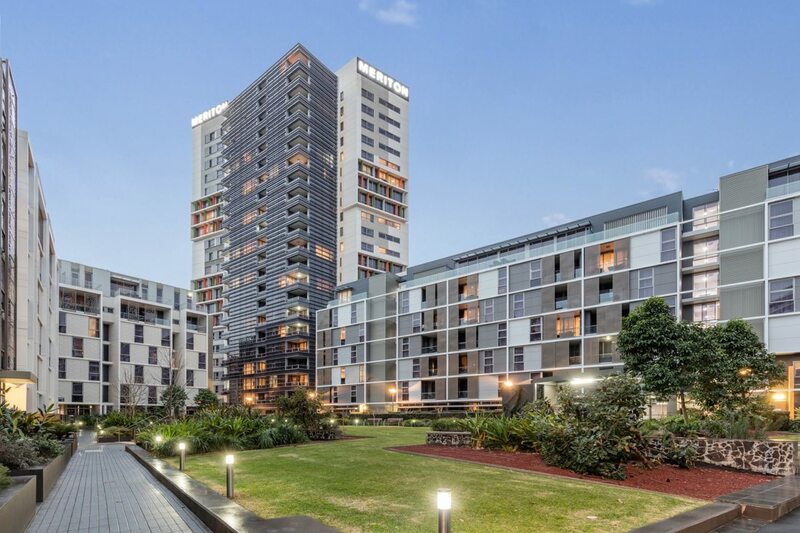 Be invited into the vibrant inner-city suburb of Zetland by our friendly porter assistance and experience superior service 24 hours a day with our professional and hospitable Guest Services team. Boasting 334 oversized and spacious suites situated across 22 floors, we promise all the comforts of home while at the same time showcasing resort style facilities here at Meriton Suites Zetland. Our range of Studio to Modern Suites with 1, 2 and 3-bedrooms are designed to be up to three times larger than a traditional hotel room and are fitted with comfy, plush bedding with deluxe linen, guaranteeing the perfect night’s sleep while our luxurious, beautifully scented bathroom amenities will leave you feeling pampered. Featuring well-appointed kitchens, internal laundries and modern flat screen TVs complete with a range of Foxtel channels, a reflection of the better value of our Meriton Suites brand, guests are able to take absolute comfort throughout their stay with us. Take it all in as you open the balcony doors of your suite, enjoy the fresh breeze and appreciate the inner city suburban atmosphere surrounding you. The newly established East Village shopping centre is only a couple of minutes’ walk away, fitted with supermarkets, specialty retail and eateries to cater to all tastes. Neighbouring suburbs of Waterloo and Surry Hills offer popular inner city dining and trendy cafes while our location only moments from Green Square station and bus stops can transport our guests to the sights and wonders of Sydney in an instant.